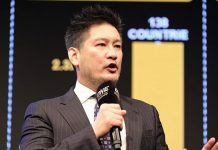 Earlier this month, BJPENN.COM reported that undefeated boxing legend Floyd Mayweather had signed on for a shocking fight with undefeated kickboxing wunderkind Tenshin Nasukawa under the Rizin banner. The fight was said to be scheduled for December 31 in Tokyo, Japan, and the rules for the bout were apparently being negotiated. In a lengthy Instagram post, Floyd Mayweather stated that he’d been ‘blindsided’ by the Japanese MMA promotion, and that the fight would not be happening. Apparently, however, it’s still on the table after all. 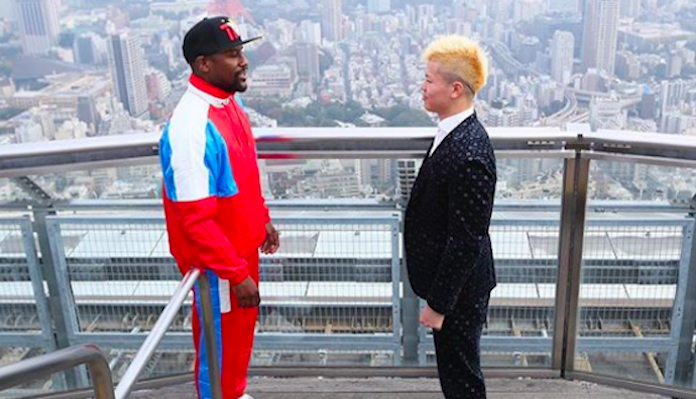 Speaking to TMZ this week, Mayweather announced that he and the Japanese promotion are going to make the bout happen. “We’re gonna make it happen,” he told TMZ, explaining that the fight would likely be a co-promotion between Mayweather Promotions and Rizin. Mayweather also clarified on the rules for the bout, assuring that it would be a boxing exhibition match, and that kicks will not be allowed — which would seem to disintegrate Nasukawa’s best shot at a victory. 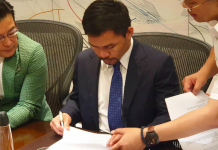 He also confirmed that the bout will be three, three-minute rounds. Finally, Mayweather explained why he agreed to accept this surprising exhibition bout to begin with. As you probably guessed, it’s all about money. The 20-year-old Tenshin Nasukawa is a flawless 27-0 as a professional kickboxer, with 21 of his victories coming by way of knockout. 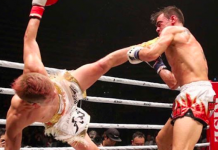 Highlights of his resume include defeats of Amnat Ruenroeng, Yamato Fujita, Yusaku Nakamura, Rodtang Jitmuangnon and most recently, fellow Japanese star Kyoji Horiguchi.